We understand that ATF has approved a number of applications to permit Gun Trusts to manufacture machine guns and then rescinded the tax stamp to make the machine gun. Based on the ATF letter requiring NICS checks for Trusts, the ATF may have accidentally opened the registry for new Machine Guns when registered in the name of a trust which is not a person under the GCA. A few weeks ago I purchased a fully transferable M16. Many of our clients have asked me to post some pictures of what this gun is being built into. Almost every replaceable part has been upgraded to the latest modern version while still keeping it legally transferable as a Pre 86 Machine Gun. One of the first things we did was to replace the stock with a high-tech anti recoil Israeli Stock. Next build a modern upper with a Side charger much like you would see on a AK47 so that you do not have to take your eye off the scope to load a bullet. Can I Purchase a Machine Gun with a Gun Trust? Yes, you can purchase a machine gun with a Gun Trust but you cannot purchase a new machine gun. (As long as it is purchase in a state where they are permitted) You may be wondering what the difference between and old machine gun and a new machine gun. As of May 1986 individuals, Trusts, and business entities can only purchase machine guns that were made and registered as transferable prior to May 19th of 1986. A new M-16 can be purchased for $1200-1500, but can only be purchased by police or military, while a legally transferable pre 1986 Machine gun will cost you 10 times that amount. So for those of you who are looking at a Gun Trust as a way to purchase an inexpensive machine gun, forget it. Not only is a machine gun expensive to buy, but its more expensive to feed. Many shoot 600-900 rounds per minute and the typical magazine will last a second or two. Can I Make a Machine Gun using a NFA Gun Trust? One of the most common questions or misconceptions is regarding the ability to make a Machine Gun by using a Gun Trust. While you can make a Machine Gun with a Gun Trust, the process or the cost is not what most would consider acceptable. 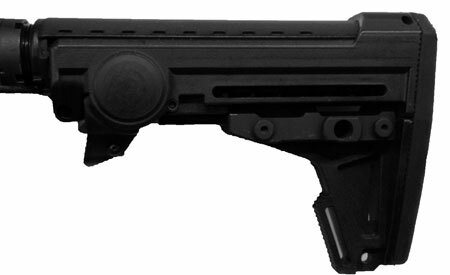 First you are not making a machine gun as you might expect using an ATF Form 1 but you must first start with a legally transferable pre 1986 full auto sear. This is in the 10-15K range and is by itself a Machine Gun. Now that you have a legal machine gun, you can modify almost anything and essentially create a new Machine Gun. If you purchased a Pre 86 sear, you could change out the pins, add a left hand magazine release, change the trigger, and even build it into 300 blackout if you wanted. Once you were done, you would essentially have a new machine gun but it would be 10-15K more than what the police or military could purchase a current model. So while you cannot technically “Make A Machine Gun” you can modify a legal transferable machine gun.